The American Sewing Guild is an organization with chapters nationwide. The Alameda County Chapter was founded in October 2012. 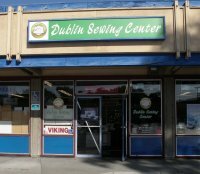 The Alameda County Chapter is happy to advance sewing as an art and life skill. We serve Alameda County and San Francisco county. Our chapter hosts chapter meetings 8 times per year. We provide programs and projects to assist each other with learning more about sewing and community service projects. We offer hands on lessons, guest speakers and an annual three day retreat. 2020 is a new decade and we want to start it off clean and fresh. We all have that project that’s not quite done. It just needs buttons and a hem. Or its been cut out but not sewn, sitting on the shelt. That piece of fabric you bought with every intention to make that ---. Now’s your chance to get them all done. Select 5 things that need to be completed. Number them, 1 through 5. Give that list to a friend or just hold on to it. There won’t be any policing to make sure you actually complete the UFO. Every other month, starting in January, a number will be drawn at a chapter meeting. That number will be the UFO that you need to start working on and get completed. This way at the end of the year, 5 of your UFO’s will be done and out of your sewing room giving you more room for more fabric! Yeah, we all need more fabric. I __________________________________________pledge to get these 5 items completed in 2019 so the year 2020 starts with a clean, organized and refreshed sewing room.